At the end of the spectrum you’ll find the chalky finish, known as “flat,” which features a matte sheen. It absorbs light and helps hide surface imperfections. All flat paints aren’t created equal. High traffic areas, such as bedrooms and ceilings. Eggshell contains more luster than flat paint, and offers better scrubbability to flat finishes. It also covers wall imperfections well. Recommended for a smooth looking finish and for low traffic areas. Dining rooms or living rooms. Satin paints are similar to eggshell and semigloss – however, they tend to have a warm, pearl-like finish. They are excellent at resisting mildew, dirt and stains. Reveals roller or brush stroke imperfections. Touch-ups can be tricky. Hallways, children’s rooms, woodwork, family rooms, and foyers. 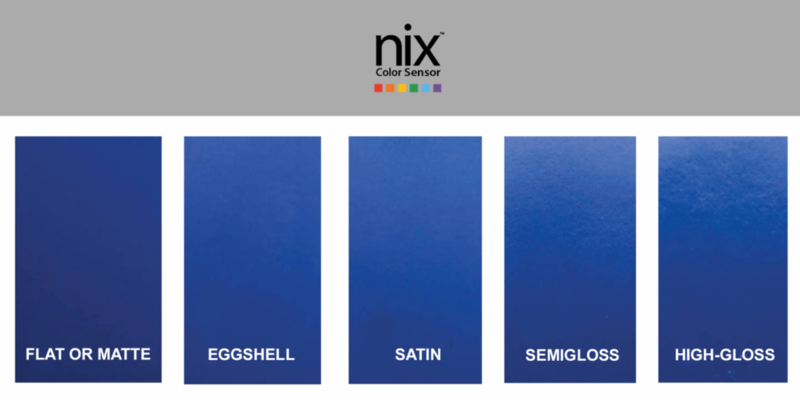 Semigloss paint reflects light for a bright, shiny appearence most vivid in rooms with a strong light source. Generally, shinier paint finishes are the most durable and are easier to clean. Kitchens, bathrooms, closet doors, trim, and chair rails. High-gloss paints have a greater depth of color. The higher the sheen, the more vivid and rich the color will appear. Shinier surfaces make flaws more evident. Reds, forest greens, and navy blue paint colors and/or kitchens, doors, and window trim.